Lock in a Naples vacation package on Expedia today! This is one of the best ways to save cash and time for your incredible vacation. Wouldn't it be nice to save up to 40,450 YEN*? Book your package deal on Expedia now! With more than 400 partner airlines and 321,000 worldwide properties for you to choose from on our international database, you'll be setting off on your vacation in no time! You can delay your vacation bookings with us because we do not charge cancellation fees for almost all of our bookings. Getting ready to head off on your Naples vacation? Don't know what to put on your travel program? No need to fret — we're here to give you a few of our recommendations. If there's one thing that captures the heart and soul of Naples, it's Ercolano Ruins. Don't forget to take some pictures in front of this world-famous icon to show off to everyone back home. You'll find yourself surrounded by noteworthy attractions, like Galleria Umberto and Santa Chiara. If you really want to get the most out of your stay, also devote some time to Teatro di San Carlo and San Francesco di Paola. You don't have to be a grave hunter to enjoy a stroll around Catacombe di San Gennaro. Why not check if there's a tour on and listen to some of the tales behind this fascinating graveyard? Adventurers in this destination have heaps of options. How about delving into the stories of human history? Experience an interesting insight into past people and cultures at National Archaeological Museum. Still got time on your hands? Stroll around the very old spaces of Castel Nuovo. This mighty structure provides an educational excursion for the entire family. No matter how extraordinary your hotel room is, don't spend your vacation holed up in your room or lying next to the pool. There are loads of amazing experiences to be had! Rural Gastronomy Tour For Foodies ! To take a look at all the activities on offer, head to the Naples things to do page. 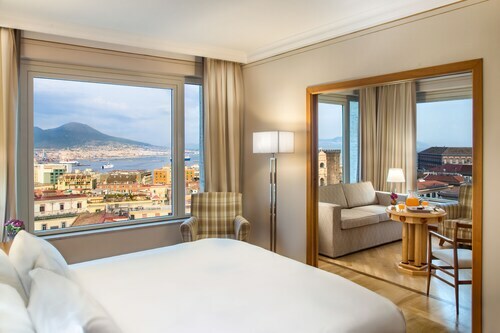 Before you travel to Naples, book a nice bed on Expedia. You'll have around 308 accommodations to choose from — your next cheap vacation or luxury getaway awaits! 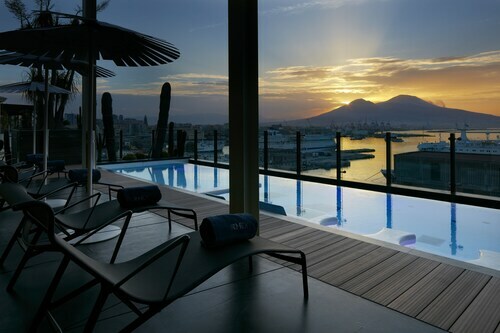 Naples' premium choices such as the Grand Hotel Vesuvio (Via Partenope, 45) and the Romeo Hotel (Via Cristoforo Colombo 45) are bound to bring a smile to even the fussiest visitor. Would you rather cheap and cheerful? Try the Vivi Napoli (Via Ludovico Bianchini, 26) and the Hotel Micalo (Via Riviera di Chiaia, 88). Naples International Airport (NAP) is the entry point for most people going on a trip to Naples. It's situated 2 miles (3 km) from the heart of town. Tour one of the world’s most majestic opera houses or splurge a little and attend a concert here to listen to famous Italian opera singers. See ornate tombs, explore the stunning cloister and browse the archeological museum in this religious complex in the heart of Naples. Get a glimpse of what Italy was like in medieval times, admire ancient architecture and enjoy the stunning views from this iconic Neapolitan building. Set in one of Naples’ most attractive squares, this Gothic church contains fabulous frescoes by Cavallini and the tombs of several Italian royals. Dominated by the magnificent Castel Nuovo, Naples’ largest town square is close to many of the city’s most impressive sights. Find cafés, fashion boutiques and one of the finest interiors in the country at this late 19th-century shopping arcade. Surrounded by palaces and a 13th-century church, this historic square is a great place to have coffee and a pastry and watch how the locals relax. Naples’ own version of the Pantheon in Rome is a star attraction in the outstanding Piazza del Plebiscito. This 16th-century chapel showcases Italian religious art, from marble sculptures to eerie anatomical creations. One of Naples’ historical treasures, this Gothic church also contains a museum and the remains of an ancient Roman marketplace. Originally a palace, until its conversion to a house of worship by the Jesuits, this church is considered to be one of the most historically significant in Naples. 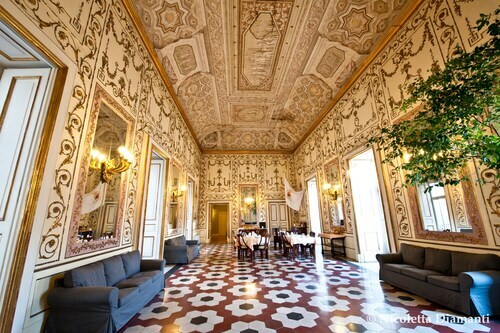 Take a walk through this beautifully preserved royal building with its gold ceilings and opulent furniture. Masterpieces by several local greats, as well as some rare peace and quiet, await discovery at one of Naples’ lesser visited churches. 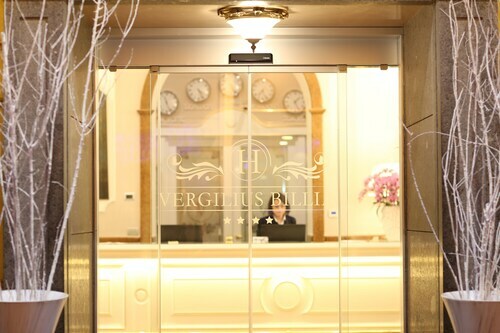 Located in Naples City Centre, this hotel is within a 10-minute walk of Piazza Giuseppe Garibaldi and Spaccanapoli. Port of Naples and Centro Direzionale are also within 1 mi (2 km). Piazza Garibaldi Station and Porta Nolana Station are within a 5-minute walk. 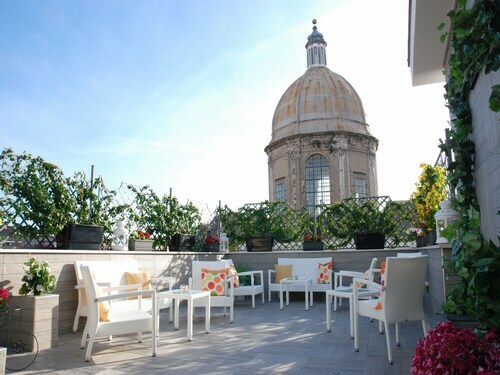 Located in Historical Center, this hotel is steps from Via Partenope and Gulf of Naples. Castel dell'Ovo and Lungomare Caracciolo are also within 10 minutes. Toledo Station is 21 minutes by foot and Naples Piazza Amedeo Station is 26 minutes. 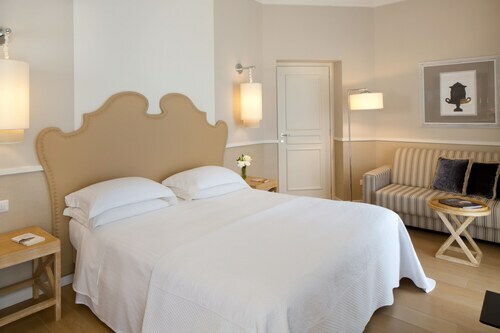 Located in Historical Center, this hotel is within a 10-minute walk of Via Toledo, Piazza del Plebiscito, and Castel Nuovo. Spaccanapoli and Galleria Umberto are also within 10 minutes. Toledo Station is only a 3-minute walk and Montesanto Station is 11 minutes. Located in Naples City Centre, this hotel is within a 5-minute walk of Monastery of St. Clare, Spaccanapoli, and University of Naples Federico II. Port of Naples and Piazza Bellini are also within 15 minutes. Dante Station is 10 minutes by foot and Toledo Station is 11 minutes. Located in Naples City Centre, this hotel is within a 15-minute walk of Piazza Giuseppe Garibaldi, Centro Direzionale, and Spaccanapoli. University of Naples Federico II and Naples Underground are also within 1 mi (2 km). 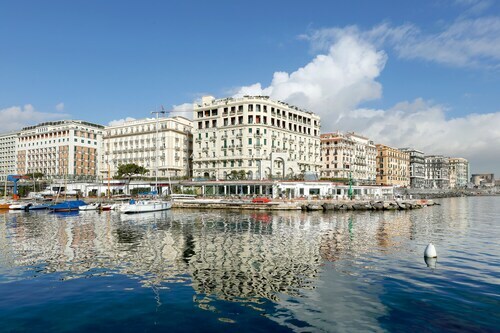 Piazza Garibaldi Station is only a 2-minute walk and Naples Central Station is 4 minutes. 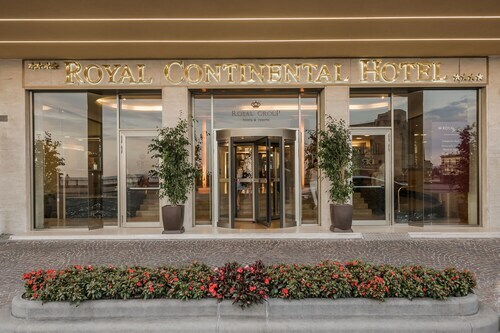 This family-friendly Naples hotel is located in the entertainment district, within a 15-minute walk of Teatro di San Carlo, Galleria Umberto, and Royal Palace. Santa Chiara and Naples National Archaeological Museum are also within 1 mi (2 km). Toledo Station is 13 minutes by foot and Dante Station is 17 minutes. Located in Historical Center, this hotel is within a 5-minute walk of Via Partenope, Castel dell'Ovo, and Gulf of Naples. Piazza del Plebiscito and Lungomare Caracciolo are also within 15 minutes. Toledo Station is 21 minutes by foot and Naples Piazza Amedeo Station is 21 minutes. Located in Naples City Centre, this hotel is within a 5-minute walk of Piazza Giuseppe Garibaldi and Spaccanapoli. Naples Underground and University of Naples Federico II are also within 15 minutes. Porta Nolana Station is 7 minutes by foot and Piazza Garibaldi Station is 8 minutes.